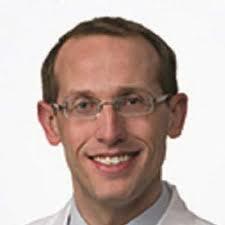 Doctor Gross is an Otolaryngologist who practices in Virginia. Dr. Gross is currently accepting new patients. Frisch, C. D.,Gross, B. C.,Link, M. J.,Driscoll, C. L. “Blastomycosis of the Temporal Bone Mimicking Glomus Jugulare Tumor..” Otol. Neurotol. 2016 Apr;37(4):e173-5. doi: 10.1097/MAO.0000000000000582. Winther, B., Gross, B.C., Hendley, J.O., Early, S.V. “Location of bacterial biofilm in the mucus overlying the adenoid by light microscopy..” Arch Otolaryngol Head Neck Surg. 2009 Dec;135(12):1239-45. doi: 10.1001/archoto.2009.186. Gross, BS., Carlson, ML., Driscoll, CL., Moore, EJ. “Collision tumor of the facial nerve: a synchronous seventh nerve schwannoma and neurofibroma.” Otol Neurotol. 2012 Oct;33(8):1426-9. doi: 10.1097/MAO.0b013e31826a52aa.